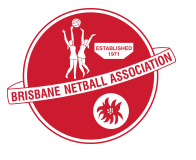 Kedron Lions Netball Club was established in 1988 by Len and Fay Davis who were approached to form a netball club as an affiliate of the Kedron Districts Junior Football Club to foster “family togetherness” and as a “benefit to all”. The first general meeting was held on the 15 February 1988. It’s a grand old flag. It’s the emblem of the team we love. Click here to see our honour roll.